Prominent & Leading Manufacturer from Pune, we offer gas leak detectors, industrial gas leak detector, gas leak detector, carbon dioxide gas leak detector, residential gas leak detector and carbon monoxide gas leak detector. Supported by highly experienced professionals, we have emerged as an affluent manufacturer and supplier of Gas Leak Detectors. 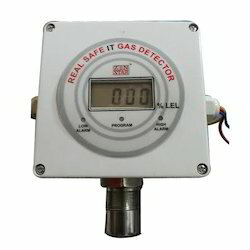 This gas leak detector is designed with the best quality which ensures its reliability accuracy and long life. Offered gas leak detector has sensor alarm & compact electronic module housed in an explosion proof and weatherproof aluminum die cast. 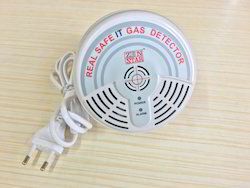 Customers can avail the offered gas leak detector in various specifications. 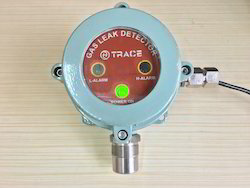 Our organization has successfully expanded its business in market owing to the offered Industrial Gas Leak Detector. 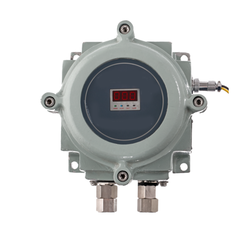 Suitable where the types and concentration of gases is not known, the offered alarm is available in numerous specifications as per the specific needs of the customers. This alarm is designed using optimum quality materials as per the set market norms by our competent professionals. Carbon monoxide (CO) is a colorless, odorless, tasteless and toxic gas. Nicknamed “the silent killer”, carbon monoxide is totally undetectable by human senses. Hundreds of people are killed in each year by accidental carbon monoxide poisoning and thousands are permanently injured. Since carbon monoxide is a by-product of incomplete combustion, any fuel-burning appliance, vehicle or tool that is inadequately vented or maintained can be a potential source of carbon monoxide gas. Long-term exposure to low concentrations of carbon monoxide can gradually build up in the blood causing flu-like symptoms such as headaches, fatigue, nausea and drowsiness. Since the symptoms of carbon monoxide poisoning are so common, and often misdiagnosed, Exposure to high concentrations of carbon monoxide will cause throbbing headaches, breathing difficulties, confusion and loss of consciousness, cardiac problems and/or death. LPG is an explosive hydrocarbon gas consisting of butane and propane. It is heavier than air and sinks to the floor in case of leakage. 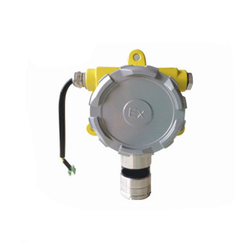 Therefore, the gas detector should be placed 15-25 cm above the floor and within 1-2 m horizontally within the range of possible gas leakage. Real Safe Gas Detectors respond audibly and visually before the leakage reaches 20% LEL. Detectors have microprocessor-based design. LPG is an explosive hydrocarbon gas consisting of butane and propane. It is heavier than air and sinks to the floor in case of leakage. Therefore, the gas detector should be placed 15-25 cm above the floor and within 1-2 m horizontally within the range of possible gas leakage. Real Safe Gas Detectors respond audibly and visually before the leakage reaches 20 % LEL. Detectors have microprocessor-based design. Methane is an explosive hydrocarbon gas. It is lighter than air and rises to the ceiling in case of leakage. Therefore, the gas detector should be placed 5-15 cm below the ceiling and within 1-2 m horizontally within the range of possible gas leakage. Real safe gas detectors respond audibly and visually before the leakage reaches 20% LEL (Lowest Explosion Level). Detectors have microprocessor-based design.